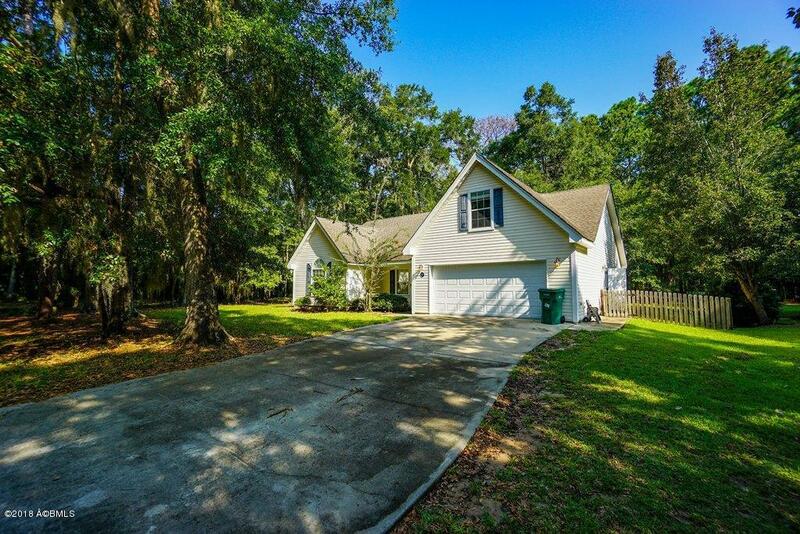 Opportunity in highly-desired Royal Pines neighborhood in highly-desired Lady's Island area! Home has very good bones!! Just needs some minor cosmetic work. If you are looking for LOCATION, PRIVACY, and a competitively priced home awaiting a new owner who is looking to do some minor cosmetic upgrades, this is for you. PLUS! Most of the currently available homes in Royal Pines are 3 BD, 2BA. This home has the 4 BEDROOMS and 3 FULL BATHS that buyers are asking for! End of cul-de-sac....almost half-acre lot with full wooden fence. Heavily wooded and private just outside of lot! See aerial photo. 2 min. from Royal Pines public golf course, clubhouse, and The Tavern Restaurant. Re-purposed side of golf course makes for great green space and walking trails. All offers welcome. So EASY TO SHOW!